Their No Straws Initiative is estimated see a reduction of 17.8 metric tons of single-use plastics annually. 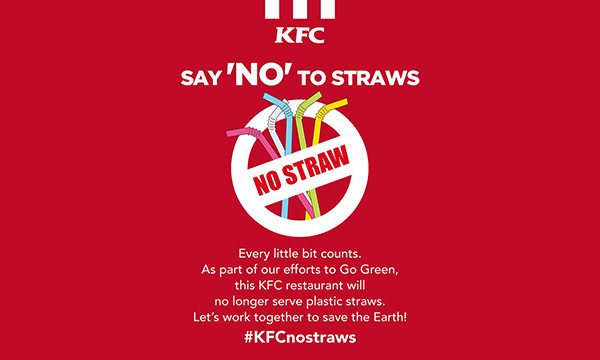 All 84 KFC restaurants in Singapore will no longer serve beverages with plastic caps and straws starting on June 20, the company has officially announced. Their No Straws Initiative is estimated to bear witness to reduction of 17.8 metric tonnes of single-use plastics in a year. The iconic global brand is the first to perform this wide initiative in the island-nation, and follows other larger food and beverage brands in the region and around the world that have previously announced their own respective sustainability measures. “We acknowledge the strain that single-use plastics put on our environment and are taking steps to do our part in endeavouring a change. 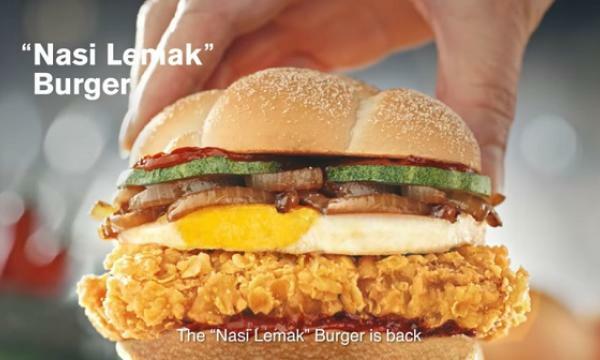 We recognise that every little bit counts and are proud to be the first fast food restaurant in Singapore to champion this movement, one straw at a time,” KFC Management Pte Ltd. General Manager Lynette Lee said. 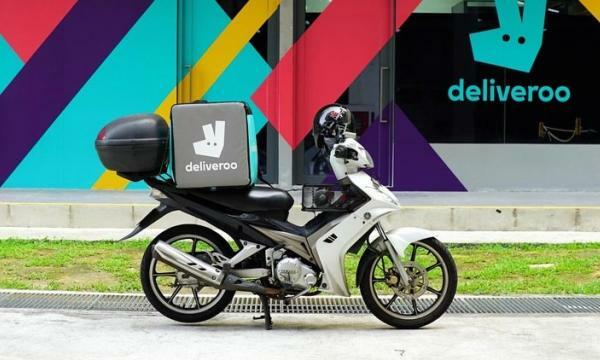 Prior to this announcement, KFC Singapore started their green initiatives in December 2016 when paper boxes were phased out for dine-in meals and customers were served their meals in reusable baskets. Early 2017 saw the brand introducing paper packaging for their breakfast platters and porridge bowls in place of foam packaging for their KFC morning menu. The initiatives reportedly saw a reduction of almost 5 million paper boxes and over 1.4 million sets of foam packaging in one year. Currently, KFC Singapore says they will continue to review and rollout the use of more biodegradable packaging for their offerings as part of their ongoing eco-conscious efforts.